Nestled in the heart of LaFayette, within a few minutes’ drive from every part of the city and no more than thirty minutes away from every Walker County home, lies a recreational facility with vast potential. Vast potential, yet unrealized, completely ignored by those with the power to make that potential into a reality. That facility isn’t the golf course or a softball field, it’s a football field. Specifically, Patton Stadium on First St. behind the old LaFayette High School, original home of the Ramblers. Old LaFayette High School closed in the middle of the 1997-1998 school year. The building later served as a temporary home for North LaFayette Elementary students while their school was being rebuilt, and eventually settled into its current role as LaFayette Middle School’s Sixth Grade Academy. Behind the school, Patton Stadium saw its last Ramblers game played on November 12 1997; a 27-0 loss to the Cedartown Bulldogs. A few months later the field, stadium, band room, and fieldhouse were transferred from Walker County Schools to the City of LaFayette. The two-story cinderblock fieldhouse became an office for the utilities department, while the field and stadium were absorbed into LaFayette Parks & Recreation. Two years later the rec facility was renamed after the late Ross Abney, a prominent business owner and backer of local sports programs during a time when none existed. Under city control, Ross Abney Complex was used for regularly scheduled step aerobics and line dancing classes, plus the occasional nonprofit benefit or church dinner. The field itself was rarely used for anything at all except a few city-league youth football and soccer games. Those minor activities were well below what the site would be capable of hosting, but underuse is no crime compared to the outright neglect imposed on the complex by the city. 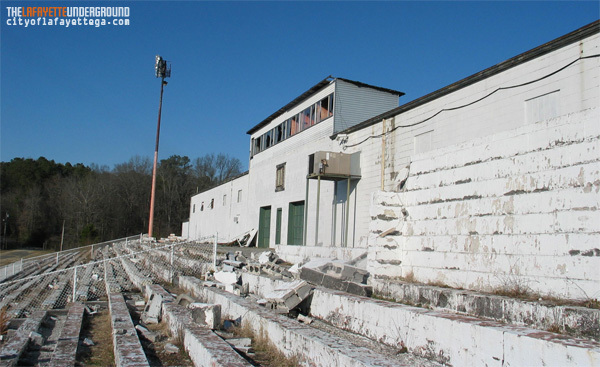 Since LaFayette hung a new “Ross Abney Complex” sign during dedication in 2000, the facility’s paint has faded, grass and trees have grown through every crack of brick or pavement, and the concrete risers of the stadium itself have begun to collapse and disintegrate. Broken Window Syndrome theorizes that unrepaired damage, litter, and other forms of neglect actually encourage petty crime and vandalism in urban neighborhoods. True to that theory, the city’s willful neglect of Ross Abney Complex translated into permission for vandals to make their own mark on the facility. Neglected maintenance was followed by broken windows and graffiti, and in 2008 arsonists destroyed the old fieldhouse. Around that time the rec department invested in security cameras for the complex, but by then there was little left for the cameras to watch over. 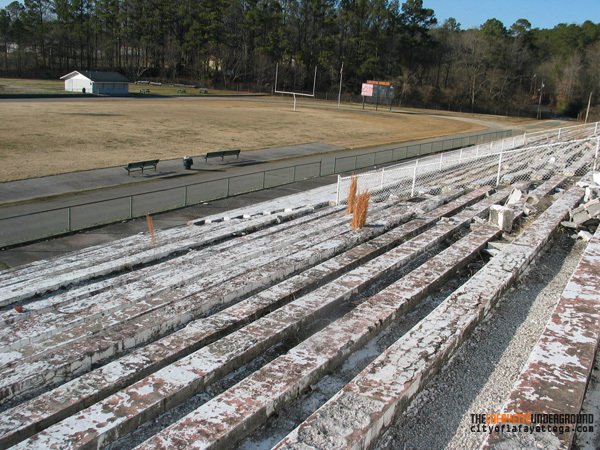 In 2003, proponents for the county’s SPLOST tax promised $75,000 to renovate the Abney complex and restore its bleachers. Voters passed the tax measure, but those funds never materialized – or at least never produced anything close to a “renovation” for the aging facility. LaFayette’s $3.69 million share of SPLOST funds from 2008 also bypassed the football field, instead going to the golf course, redundant new softball fields, tacky Christmas light displays, and other minor projects deemed necessary by the city council. A very small portion of the money spent constructing new recreational facilities would have brought the Abney complex back to the condition it was in when LaFayette High School moved in 1998, and a hundred thousand more could have made it into a world class facility. Instead of building new facilities that duplicate fields and buildings that already exist, the city should first repair and maintain the facilities it already has. LaFayette Parks & Recreation has put all of its eggs in one basket, maintaining a single playground and open rec center most residents can only drive to. In contrast, modern cities establish many small recreational areas within walking distance of their residents’ homes. Ross Abney Complex has the capacity to meet that need for LaFayette, being located a short distance from neighborhoods on Culberson Ave, First Street, Indiana Street, Park Street, and subdivisions that branch off from them. Many residents of those communities already visit the field regularly to use its quarter-mile running track or practice sports with their children; spending a few thousand dollars to clean the facility up and add a few new features there would go a long way to make LaFayette more family friendly. LaFayette is not and never will be Dalton, but LaFayette could be more creative and copy a few ideas being implemented by Dalton’s parks department. Dalton is building playgrounds, water play parks, and other amenities that cost little to set up or maintain but contribute much to the city’s livability and workability, appealing to residents and businesses alike. Likewise, LaFayette could build a traditional children’s playground where the fieldhouse once stood or across First St. where softball fields have been removed. Given enough motivation, the department might even find room for a water playground or inexpensive skate park within the complex. During its time as LHS’ football stadium, the field hosted concerts and occasional outdoor performances, but in recent years there have been no events held at the old field. (And considering its current condition why would there be?) Replacing destroyed risers or just removing them to leave a grassy hill would make an inviting space to watch a concert, play, or church activity. Restoring the old press boxes and setting up a booth to control audio and new lighting would also make the field attractive for music acts or other performances, and temporary metal bleachers could always be put back on the visitors side of the field for big events. Patton Field was good enough for Johnny Cash; his 1970 benefit concert in LaFayette drew in some 12,000 people, paying off the field’s construction costs and funding improvements that stand to this day. LaFayette won’t see those crowds again, but regular concerts and events with local or regional talent would provide entertainment for residents and guests alike while sending customers to downtown businesses. Reasonably priced tickets for some events and concession sales could also reimburse the city for its costs to maintain the facility. In its current condition the field isn’t an asset, it’s a liability – a collapsing, vandal-attracting eyesore, a complete waste of space and of all the potential that lies within. LaFayette’s city council needs to get off the fence and make a decision to tear down the Abney complex, or develop a vision and renovate it into a gem that can be enjoyed by both locals and visitors. I applaude you!!! That is very well stated and written. What a shame that the hard work people put into that field has gone for nothing.I’m not surprised anymore by what this city lets fall apart.Johnny Cash helped raise money to build this and now it’s falling apart.His arrest in LaFayette helped save his life and we can’t even save the field he helped build.This is a shame.I mean Johnny Cash! for Christ’s sake!All for nothing like it never happened.I’m glad some one is bringing attention to the bad things this town is doing.The christmas lights are just F’N ugly and the golf course is a waste of time. I played on that field, I walked that field when I graduated… I agree with you, something needs to be done to restore it, or at least make it a place that people like me and the thousands that graduated could come back to and reflect when times were truly better. When the only thing we worried about was getting the attention of some girl, or winning a football game, having the best band performance… and trying to BEAT DALTON!!!! 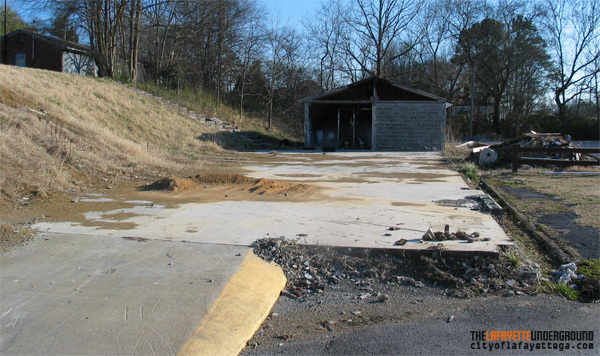 It is nothing but neglect ….why would the city leaders allow this to happen? Abney / Cash field house should be preserved for no other reason. Its a shame what the city of Lafayette has let happen to the old school & grounds, I couldn’t believe that they tore down the old Lafayette High School, it was beautiful, as for as the other areas they don’t care. The town Square at one time was pretty, look at it now, glad I don’t live there now, go through town don’t look, get out as soon as possible. I marched in the marching band for three years on that field. It’s been disappointing watching it fall into neglect over the years. Wasted potential indeed! Seems the city (and county) can’t decide where to put our money to do the most good. It doesn’t look like it would take alot of funding to fix it to be usable. Do you think we could get some Alumni to volunteer? Maybe they could fix it during the summer and during the fall beginning with Labor Day weekend they could host concerts there and use the income to go back into the stadium. Its just a thought. I’m just trying to think of a way to make it more inviting to the city council. Maybe a Rounders Reunion with them playing only Johnny Cash songs in respect to the man who contributed some of the funding back in the day. I marched there in the 80s with a current city council rep. I know of at least one council member who played football in the late 80s there. You would think it would seem personal to them too. I have witnessed over the last decade to the property. After thinking the council had actually made a minuscule step in the right direction, referring to the beer vote, I now hear Blue Bird is telling Walker county they are gone! Maybe now our “brothers” that “represent” the city of Lafayette AND ALL of her residents can finally see past their personal wet bars and wake up. Lucas: Amen to that. They tax us and then where does it go? SPLOST is a joke, a slush fund for the right people to pay each other off with, and what we pay for regular sales and property tax goes into a black hole. They can’t maintain rec. facilities, don’t pave the roads, can’t provide enough incentives to keep businesses here, and both county and city law enforcement are turning into a bad joke. They should return the money to us and we’ll direct it the way we see fit. Nota: Your comments have merit. I’ll take it one step further and say the alumni association should incorporate and just take the facility over. Buy it from the city for a dollar, I think the council would be happy to be rid of the liability associated with it. Talk to local business owners who went to the school or played on the team and get some money together to pay for restoration/improvement, do the work with volunteers and then use income from ticket sales and concessions to keep it maintained. If volunteers do the work and the city keeps the facility they might just keep the proceeds from tickets and concessions for the general fund, which defeats the purpose.. Get a beer license and have some grown-up music there once a week, maybe a family concert in the afternoon on another day with cheap or free admission. Could even set up a screen and show the occasional movie, something else LaFayette is lacking. This is all very doable but you’ve got to find the right person with enough motivation and intelligence to make it happen. The field and stadium were originally built by the LaFayette Athletic Club, which was a group of local businessmen and civic leaders NOT a government agency. Back in those days people didn’t see the government as a cure for all their problems and actually got together to accomplish things themselves. The Athletic Club built all sports facilities at the old LHS and a lot of what existed then at the main rec. department, then raised money to pay it all off – an effort completed by the Cash Concert. We need that kind of thinking today if we’re ever going to get beyond the positions we find ourselves in. I didn’t attend high school there (actually I was a student at NLE when they were building the new school and they put us there) but I do enjoy taking my girls over there to walk, and one things it is good for in this horrible condition is pictures. BUT, my point is, despite not having any kind of personal attachment to the area I would be MORE than happy to help with any kind of restoration efforts. I can’t help much financially (thanks Blue Bird!!) but I’ll come out and help. I think a grassy feild where the “bleachers” are would be awesome! Can you imagine a big screen on the edge of the feild (next to the concession building) for movies? Set the projector up in the press box. That would be really great for this town!! I say we get as many people together as possible to donate a few dollars. Go to the city council and show them the potential this piece of property has and all the uses for it.If they think they can make money with it progress can be made.The movie and music venue ideas are great.That would be a great way for people to get together. Discussion about this topic on Facebook has been promising, but ultimately it all comes down to an issue of government willingness/support. The city would have to either do all the work and management itself or permit a group to take the stadium over and let them renovate it without hassles from the codes department, and that would probably require more political capital than we can muster up. It doesn’t help that this facility is literally in Bill Craig’s back yard and anything with a noise or smell or crowd of people is going to be opposed. The best way to make this happen is to get a new crew within city leadership, a majority of people on the council who are intelligent, caring, and committed. A new council and mayor that will streamline the codes department, replace the police chief, and actually encourage the kinds of activities possible at Ross Abney. Your next chance is in November 2011 when three council members come up for a vote. You know what to do. Another idea I’ve had as well… Fitting in with the Johnny Cash history of the complex.. The Tennessee Valley Railroad Museum owns the train from Cash’s Hurt music video, the one he was driving and riding on in the old clips. They’re working to restore it, and I can’t think of a better way for Chattanooga-area Cash fans to get to a LaFayette Cash Tribute concert than riding that old engine down here. Anybody know where the Johnny Cash Band Room plaque ended up after the school closed? Keep thinking, thanks for reading. Fix it up and hold homecoming game there. townspeople do not support it like they should, especially if it competes with the “old hometown boys”. Not only is Patton Stadium wasted potential, there are many wasted areas in town. Someone wrote about the train car. Think of what could be done to the old depot area. Some one has renovated some of the old buildings. Much could be done there. The Tennessee Valley railroad rides go thru many times a year and pass us right up to go to Summerville. If the train stopped in our depot, it would be within walking distiance to Patton Stadium. If we could offer passengers something to see, they would stay in our town instead of going to Summerville. The stadium would be great for craft and art shows, car shows, concerts, the list goes on. Food venders could come in. Passenges could even walk to the Marsh House or Joe Stock park for events. If all went well, that would open the doors for other small businesses in that area. Such as candy stores, ice cream shops, gift shops, restaurants, etc. This would be great for the city. All we need is some good leadership with motivation and a vision. I know visions take money to make them happen, but I am sure there are some business people in town that have enough money to go forward with things like this. I am also sure there would be lots of supporters if they needed them. If people want this town to grow and prosper, something is going to have to happen to stir things up! I hope someone with influence will see these postings and wake up! (I’m not holding my breath on it though) Things need changing in the town or everyone will move away, then what will we have, nothing. Just a dirty little run-down town. Citizens need to take heed and elect officials that will make a change. I would like to feel pride in my town again! My husband and I were talking about this over the weekend. Towns often have carshows where they block off the square. Why not do something like that to raise money for this project? I know it’s a bit early, but if we could get anough people together on this, and some solid SOLUTIONS rather than ideas, we could certainly present it to the council. You’d have to find a weekend where there’s no already a car show being held.. Between LaFayette, Chickamauga, and Fort O. there are maybe four or six weekends a year (all in the winter) where there isn’t already some kind of a car show being held by a church or nonprofit group. My suggestion is to get with a few other interested people and incorporate, make some workable plans for the site then demand the council turn the facility over to the group. If they refuse it’s more reasons for people to vote against them, and if they agree well then good. Then clean it up by removing the loose concrete blocks and hold a few small free concerts there (take donations and sell concessions) to establish the concept works. Once people see it’s a workable idea and understand you’re serious they’re more likely to get behind the organization. August 13th is the 40th anniversary of the Cash concert. Might be something to shoot for, but I doubt anyone could get things together by then..
Josh, we adults really want something to do, too. I’ll support your efforts. Thanks to Vic and Shannon for caring enough to run with this and make something happen. You guys (as in ALL you guys who read this site) have the power to make change happen here. Don’t give up. The plaque is inside the Ross Abney complex. Several of the Walker County Messenger articles that came about as a result of our article have photos of it. No idea if that’s the original plaque or a later replacement for one that was stolen. I am not a native of Lafayette, but as a kid, I did play peewee football at Patton Stadium numerous times. 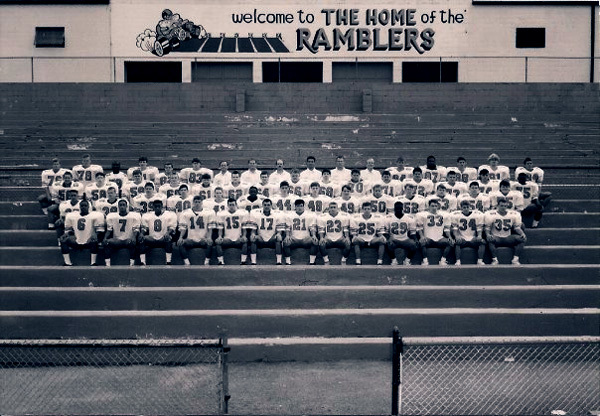 It was a great field to play on and I have many memories of playing the Ramblers on that field. While playing for Chattanooga Valley, my 11 and 12 yr old team was the first to beat Naomi, who, at the time, was a powerhouse in the area. I would love for Patton Stadium to be restored so my sons could play football on that field!! I like the idea about starting a fund raising drive. Obviously, the city won’t/can’t fund all of the renovations with all of their other projects seemingly going on forever and always over budget. What if we open an account at the Bank of LaFayette, managed by someone trusted in the community, say a bank leader, that allows all of us to put money toward the project? I’ve been extremely busy at work with engineering projects, but should be able to put time toward this project in the coming weeks. Call me at 423-240-6646 if you want to be heavily involved with the team. Would anyone be interested in going down there on a weekend with a couple of pick-up trucks/dump-trucks (if anyone knows someone who has them available), and do a clean up of the old bleachers – at least to get rid of all of the blocks and things that have fallen down? That would be a start. The city is planning to tear out the old bleachers in September and put all the debris in that swampy area next to the old field. They did a $5,000 in-kind trade with the school system for that property in order to make it into a cemetery for the old stadium. Then they contacted local media and said they’re going to “redo” the field for $5,000. That means it’s going to just be demolition, not much reconstruction – they’re going to assemble a few hundred people worth of used metal bleachers and leave the rest of it as-is. No new P/A, no field repairs, no lighting.. It will be cleaned up and safer but not much more usable as it is now, certainly not repaired and restored to the level it should be to honor those who put so much into building the place to begin with. We can set up an account to work on the project but unless the city is willing to cooperate I’m not sure the money will be used in a good way. I hate to see another project like the Optimist Club walking trail you put so much hard work into, but with the current bunch in charge of LaFayette (especially the mayor and city manager) I’m fearful to invest anything into the city. Oh my goodness, would ya’ll just hush about that field. Yeah, back in the day it was great my brother even played football on that field bc i remember going to the games. But thats not the high school anymore. We have a bigger and better field by the new high school. You ppl need to get a life and quit putting Lafayette down for the things ya’ll dont like about the town. If you dont like it here then move the hell away! This is a good town with good ppl in it. LU and his followers need to get a life and quit putting lafayette down. I just dont understand why you ppl are still living here if all you have to say about the place is bad things. A lot of ppl love the town just the way it is if ya’ll dont leave! im sure that would make a lot of ppl happy. lol And as for the christmas lights, i think they were great. My kids really enjoyed them and so did i. Lafayette underground just doesnt have anything better to do than to get on here and bash ppl. What about ya’ll? Other than this site i bet yall are nerds and dont have friends and yall have nothing better to do than bash the good ppl of this town. If you went somewhere else to live i bet you wouldnt find better ppl to call your neighbors. Community resources shouldn’t be squandered, especially in a poor economy and in a dying town. Dying? Yes. I was born and raised in LaFayette, grew up there from the 60’s-80’s. I know what it used to be: mainly a manufacturing town, with many different industries for employment. I drive through it today and see one dead factory after another; I see run-down and shabby buildings, even staid old homes in the town itself looking unkempt. Perhaps it’s distance—when you haven’t for many years seen a relative who’s grown ill, you feel shock and notice all the wearing down of the person, that those who’ve seen it gradually, don’t truly notice. The same hold true for a town as it does for a person. I’d hoped the city would make some good use of our old high school, once the shiny new facility near Ft. Oglethorpe was built. Instead, I see more of the neglect that is killing LaFayette. It’s not just about nostalgia for the good times we had in Patton Stadium; it’s about pride in where you live and about making sensible use of the resources you have. I’m disgusted to hear they poured money into a two-bit golf course that only a tiny elite use, while letting rot a facility that could be turned into a neighborhood jewel for Parks and Recreation, something that would serve *many*. In general, LaFayette keeps becoming more and more like an old church that was part of our church council: when I was growing up, the church membership consisted of four elderly people. That’s all. The religious council was merely waiting on them to die before closing it down completely. Apparently the City Council has the selfish short-sightedness of the privileged: so long as their own affairs are afloat, the rest can go hang. They fail to see that their own jobs, or their childrens’, are in peril because the town is dying. In short, to be a successful community, the town has to not only attract and keep businesses (manufacturing or otherwise); it also has to offer something to keep children from moving away, and to attract new families to move there. Given the level of “good old boy” system in operation in both management of the city and in law enforcement, it’s no wonder youth want to move away. I know I certainly wouldn’t want to move back there, and even if I did, the job opportunities for me would be virtually nil… plus, what job opportunities could my *own* children look forward to? There’s the rub. Anyone in marketing, psychology, or public relations can tell you that people have three essential needs they look for in life: food, shelter, and safety. To have those things, we seek jobs, we look for good health care, and we look to be protected by the law and law enforcement. Beyond that, we look for community with our brothers and sisters, because ancient instincts tell us we are stronger and safer in a pack. Those are a human’s basic drives, and they encourage growth and cooperation within a community. When those needs aren’t met, or are poorly met, individuals will go elsewhere to meet those needs. If LaFayette and her surrounding community don’t want to die out, as they are doing in a slow, painful process, they need to turn things around and start meeting those needs. Companies and corporations aren’t going to site a facility in a dying town—they’ll go to a neighboring town or county where they have a better chance of attracting good and healthy workers, where the schools and support facilities *show* that the town is thriving, along with healthy shops and service industries. I now live near a large city. I’ve seen smaller communities within and around it turn their worn, ragged, and empty buildings into thriving centers. I’ve seen “main street renovations” done, with shop fronts refaced, new shops brought in, lovely streetlights and walking areas and parks designed not only to give charm, but also to appeal to people as a clean, safe, and fun place to bring their children. I’ve seen how these things have turned communities around, attracting homebuyers and businesses. LaFayette is a rural community: spread out, requiring driving to get from point A to point B. The lack of public transit is a downfall; the lack of small local parks and playgrounds is a downfall, the lack of maintained *sidewalks* in many areas is a downfall. As others have said here, Patton Stadium could have been used as an important piece in an overall renovation of LaFayette; instead the council has chosen to ignore its potential. If I *did* still live in LaFayette, I’d be pushing to get people elected who would work with the city’s and community’s potential; people who would *do* something to change the face of LaFayette for potential businesses and families, something that would, over time, make it a better, safer, more attractive place to live and grow. That kind of turnaround doesn’t happen overnight—it’s a long, hard haul, and the community has to be behind it, and they have to understand that as the decline was slow, so will the rebuild be. Yet it could still be done, if the community as a whole would wake up and realize just how close to the edge they are, and get behind true reformers for office. The hardest part is, the best person for the job likely won’t *want* the job, and it’s hard to get them to run for the office (not to mention they must run against the good old boy machine). In the end, whether LaFayette lives or dies will come down to whether or not the individual people in the community will wake up and exert their own power: will they take the time and trouble to educate themselves on what needs to be done? Will they produce among themselves, and back, candidates who are honest, committed, and willing to work the long haul of the turnaround, and willing to put the needs of the community as a whole above their own needs? Or will they despair, assume “that’s the way it’s always been, and always will be,” and thus continue turning their own personal power over to the machine? 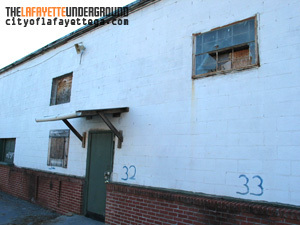 The simple fact that LaFayette Underground exists, is a small thread of hope. *Someone* who lives there sees what is wrong and is trying to wake his/her/their neighbors to it. The fact that some in the community see LU as an affront is ludicrous… until you understand that either they are part of the problem (i.e. benefit from the machine), or that they violently disapprove of attempts to mend their own ignorance—much like a young child will fight and scream over a vaccination shot. It’s the latter that I worry most about: when people become so steeped in laziness and unwillingness to learn and make changes for the better that they actively *fight* attempts to get them to do so, they’re pretty much a lost cause, and a shame to the community to boot. 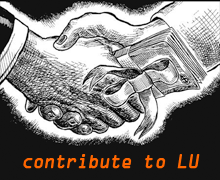 LU, keep fighting! Keep going with your efforts to expose lies, chicanery, laziness, and self-serving actions on the part of LaFayette’s leaders and law enforcement that continue this spiral into community death. Perhaps enough of the people still there will listen; perhaps enough of them will re-learn their own power to effect change, and will stop giving it to those who wield it poorly. One last note: in the 1960’s, Birmingham was the star of the South. Atlanta was considered something of a backwater. Compare those two cities today, and you see that Atlanta is a thriving major city and Birmingham the local backwater, with far fewer businesses and resources. Why did this happen? In large part, because during the time of the Civil Rights Movement, Atlanta businessmen took an unbiased look at economics and national business. They were foresighted enough to realize that the South *would* change, that Civil Rights would come—and that expanding companies based in other regions would hold that as a criteria, in choosing where to build new branches. They built Fulton County Stadium, the first southern stadium that had integrated seating, bathrooms, and water fountains. They enticed major league sports teams to come, and provided facilities for them. They did many other things that improved the city—In short, they made Atlanta THE place to locate—and the businesses came. In contrast, Birmingham fought viciously against Civil Rights, portraying themselves to the world as backwater hicks who were more interested in preserving their own lifestyle, however unfair, rather than growing. Time after time, businesses and families chose Atlanta over Birmingham. Atlanta grew at an astronomical rate; Birmingham stagnated. In comparing the two cities, it’s a clear lesson in how forward-thinking and clear-headed planning for growth wins over stubborn insistence on stagnating traditions and beliefs. LaFayette could learn something from that. LightBeWithYou: check your e-mail, I sent you something. Well of course the city would choose to rebuild the golf course. Twins Pizza was way to obvious for a city official to go drink on the clock? DUH So now they can go drink on the clock out of plain site while playing golf and doing absolutely nothing but wasting our money on golf memberships and alcohol. As for the old football stadium i believe it should be rebuilt. How can you rebuild something as useless as the Marsh house and leave something that has the potential to make so much money for the city? How much money could the Marsh House raise honestly? I mean everyone that wanted to go see it has already seen it. And as for bringing in tourists….. who the hell wants to come to a small town to see A house? Maybe if you had a bunch of old houses and your town was marketed around that like Williamsburg but we have what 2 houses maybe 3. I can even see Chickamagua renovating their houses before Lafayette. They have more than a few houses to go look at. I can tell you what our money needs to go to…. Rebuilding what used to be a great past-time, Football on Patton Stadium. Or even concerts being held that could generate over $450k in revenue for the city. But no someone thought it would be cool to rebuild the Marsh House…. Who is it that makes these decisions anyway….elementary kids? The real story behind the Money Pit (Marsh House) is this. The president of the Walker Co Historical Society, David Boyle, a stripped-of-his-ordination pastor had a soft spot for the Money Pit. Boyle has lots of money, but rather than throw his money into the Money Pit he went on the begging tour. The house should have been bulldozed after it nearly bankrupted it’s previous owner (Pat Clements), but instead Boyle and others came up with this nonsense tourist attarction idea, and I would wager that some money was slipped under the table here & there to reach their goals. Maybe the place will catch afire, and the city can put their well-practiced firefighting skills to use … and stand in the BI-LO parking lot and watch it burn. I did not graduate from LaFayette but my children did. My daughter wanted so badly to graduate from that stadium but was forced to go to the new school. I have walked that track for several years now and just love it! The track area is kept clean but the rundown seats and surrounding areas are so depressing. In the summer the honeysuckle just takes your breath away and I have often wondered if the city knew what a jewel they had there. Many times on Sunday people play football while many of us walk. During the fall the area is used for football practice and cheerleader practices. Those seats would come in very handy and could be used for many activities. I hope someone sees these comments that could make a difference. It should be preserved! It’s no surprise that the leaders don’t care to keep up a field, or their OWN facilities. They aren’t very interested in their citizens unless it is gossip, especially the secretary for the water department, Phyllis. It’s a crying shame that this crappy town is ONLY worth LEAVING! Lafayette is synonymous with hell, if most of the dumb hillbillies here even know the meaning of synonymous! It’s funny how so many people spread lies and gossip, and then it comes back to haunt them, and THEY get talked about because of their stupidity. For another thing, why not instead of taking business to ANOTHER STATE eg. Tennessee, WHY NOT GIVE LOCAL BUSINESSES the city’s business and boost the LOCAL economy?! It had happy moments there and plenty of good memories. My memories are there. Like all cities the funds are used in other areas that benefit certain groups of folks that could really use somewhere nice to take their kids and/or family. Out of towners alike. It’s a sad story I’m reading. I a 1974 proud graduate of this high school. My then high school boyfriend played many football games on that field(blue dot Watson) come on city of Lafayette keep us proud of something that meant so much to so many students and teachers that once represented there. this should read- you need to elect someone who cares about the county and not pocket all the county money for their own personal gain, just another parrish move.